From granite to slate, marble to quartz, Colautti has every stone countertop and flooring situation covered. 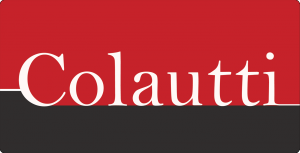 Back when Colautti was first conceived, they based their business on the perfection delivered through old world craftsmanship on the most beautiful pieces of granite available. Today that same standard is upheld with modern changes. Colautti is Windsor & Essex County’s premier stone finishings company boasting the largest supply in the area along with custom alterations and hundreds of slate, quarts, and marble countertop options. So if you are thinking elegance, beauty and longevity, think Colautti for your marble, slate, quartz and granite counter tops & flooring! Copyright©2014 Colautti Flooring & Counter Tops - Windsor's Experts in Granite, Carpet, Marble, Synthetics & Hardwood. All rights reserved.